These are changing times for law firms. Our industry is in the midst of significant changes, and with those changes come new business challenges. Fresh approaches and practical solutions are needed. Applied Strategies offers both. Our experts serve as trusted advisors, sounding boards, and confidantes. We work with small to medium-sized law firms, and occasionally individual lawyers, to develop practical, pragmatic solutions for their business challenges. Read our three main criteria ASI follows in selecting assignments. Private Coaching to Lawyers Involved in Law Firm Management. Read more in our brochure. The challenge is to identify those specific indicators that are critical to your success. 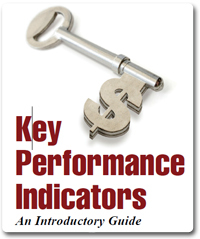 Download our KPI Intro Guide to help you get started. - Stephen Mabey will be presenting "Understanding & Growing your practice: Using Business Metrics"